La Fiesta offers exquisite dish that represents different regions in the Philippines. No sweat, you can easily go there. Just go to SM Mall of Asia and look for The Eye Ferris Wheel, it's right beside the ride. or you may opt to wait for your buddies before entering! While retaining it's Filipino inspired theme. Take a real close with their interiors. Not the usual Filipino buffet set up out there. It's actually like a fancy dining set up! 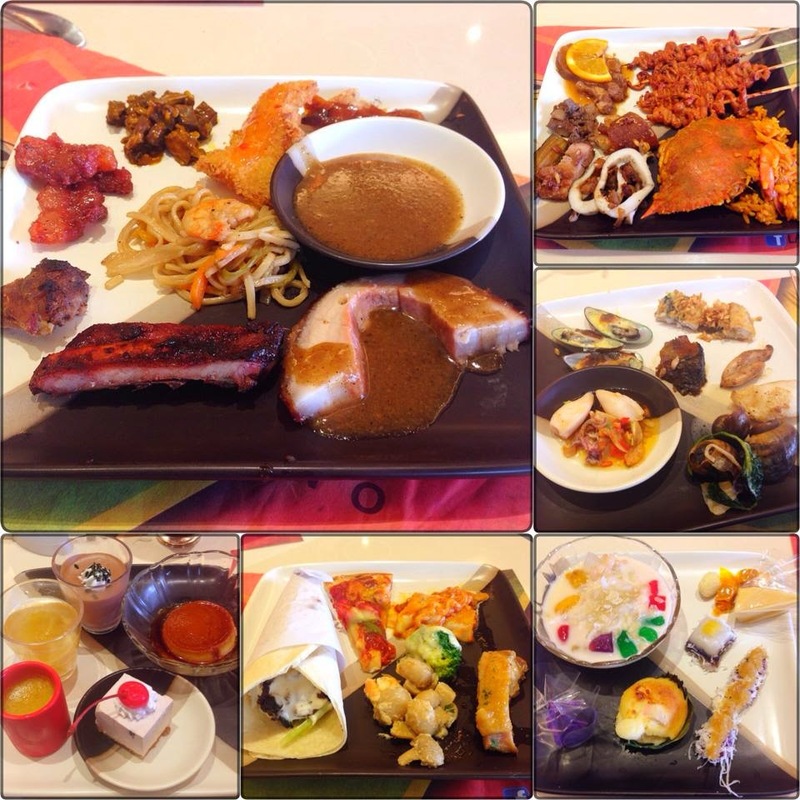 And my personal favorite Buffet 101 in Robinsons Magnolia? (See here). This is just "one" of the many sections in their buffet. So let me share you and give a run through on their buffet. Grilling section. Just ask the chef whatever you want with your fish then viola! All their seafoods comes from Davao everyday! The "ihaw-ihaw" section. Not actually the usual grilled pork etc. since it's located on the other side, but this side was specifically for the "ihaw-ihaw" only. A classic Filipino street foods! Ofcourse, they are 100% sure with the cleanliness and sanitation of every food that is served. Goto? Lugaw? Mami? Name it! I found an instant happiness with this one! Own shawarma maker! ahhhhh!!! Asked them to put plenty of sauce! nomnomnom! Forever favorite pulutan: Sisig! Served in a hot sizzling plate! Another must visit section that is only in La Fiesta Buffet: The street food section! From fish ball, kwek kwek, kikiam tofu, chicharong bulaklak, nuts and a lot more! And who can resist this Cebu Lechon on the other side of the buffet? Or care for some ribs maybe? If those didn't get you, I'm sure for this one. Lechon de Leche! Every dish can be paired up with different sauces combination. I am completely surprised to see a fridge full of different desserts! (It was actually full, but a took this shot a bit earlier). You see, since it's a Filipino theme, I don't expect that they have like this one. But my sweet tooth instantly burst out its happiness after seeing these! Baby Squid in Oil and Garlic | Lengua Estofado | Pansit (really flavorful!) | Fish Fillet (Retains the juiciness inside yet the outer layer was really crunchy!) | Shawarma (The meat has nice texture and meaty flavor) | Lechon (Who doesn't like lechon anyway?) 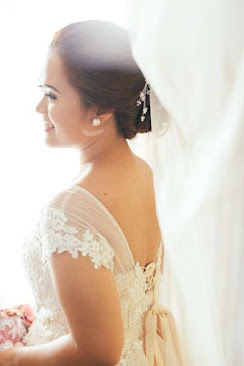 | Puto Bumbong (It's one of a kind! You'll see the difference from others once you taste it. The brown toppings on top! Reaaaaly good!) | Bibingka (Really soft with cakey texture plus salted egg!) | Blueberry Cheesecake (Unlike other buffet who has bland tasting blueberry cheesecake squares, what they have is a prominent taste of blueberry, and yet you can taste the full bodied flavor of the cheesecake) PANALO!! Hungry? Check out these affordable rates! Also, Like their facebook page here and share the post to receive instant 10% discount! Celebrating your birthday? You can eat there for FREE for 7 days! Click the above photo to know more of the details.